Minnesota and North Dakota are caught up in a legal battle over energy from coal. North Dakota — a big coal producer — wants Minnesota to drop its restrictions on electricity generated by coal. But utilities in Minnesota are already conforming to the new energy goals, and they say they aren't interested in buying additional coal-based electricity. Minnesota's Next Generation Energy Act bars Minnesota utilities from building new coal-fired power plants or entering into new long-term contracts to buy coal-generated electricity unless they offset their new carbon emissions with reductions elsewhere. Gov. Tim Pawlenty signed the law in 2007. In a federal lawsuit filed Nov. 3, North Dakota officials contend that Minnesota's law interferes with interstate commerce because it prevents North Dakota power producers from selling more electricity in Minnesota. North Dakota claims only the federal government can regulate the interstate transmission of electricity. The state of North Dakota and its Lignite Energy Council did not respond to interview requests. Although the legal battle is only beginning, Minnesota utilities have been adjusting to the law for five years. They're not complaining about it — at least not publicly. Officials at Minnesota's biggest utility, Xcel Energy, say it's ahead of schedule shifting to renewable energy sources, and according to Xcel's regional vice president for NSP Minnesota, Laura McCarten, the company is making the change essentially without any extra cost to customers. "It adds diversity to our energy portfolio, it mitigates the impact or risk of costs for either higher fuel prices or environmental regulations that apply to fossil fueled energy sources and it is cost effective," she said. But even in 2025, Xcel will still receive 30 percent of its energy from coal. In that year, Xcel plans to rely on nuclear power for 28 percent of its power, wind for 20 percent and natural gas for 16 percent. Six percent will come from other sources. This is a good time for a shift in the industry, because the recession cut demand so drastically. Most utilities expect low demand to continue for five years at least. As a result, they won't need to build new baseload plants -- the kind of plants designed to run continuously -- for the next ten years or more. Rick Lancaster, vice president for generation at Great River Energy, which supplies power to 28 cooperatives in Minnesota and Wisconsin, said his company has been encouraging conservation and investing in renewable energy for years, but Minnesota's 2007 law sets precise goals. "Would we reach those goals without the law?" Lancaster asked. "On the conservation side I don't know. The law has definitely pushed us along to reach a higher level of renewables than we would have otherwise." Great River Energy doesn't take a position on the legal wrangle over new coal plants. But the company received an exemption from Minnesota law for a small, highly-efficient plant near Spiritwood, N.D. Some of that electricity will be imported into Minnesota. Otter Tail Power, based in Fergus Falls, will push conservation even harder, and add wind power and natural gas peaking capacity. The company also plans to spend nearly a half-billion dollars on air pollution control equipment at its Big Stone I plant, which burns coal. That's more than the plant cost to build in 1975. But environmental groups say the retrofit wouldn't be a cost-effective investment. They say Otter Tail should instead shift to natural gas. 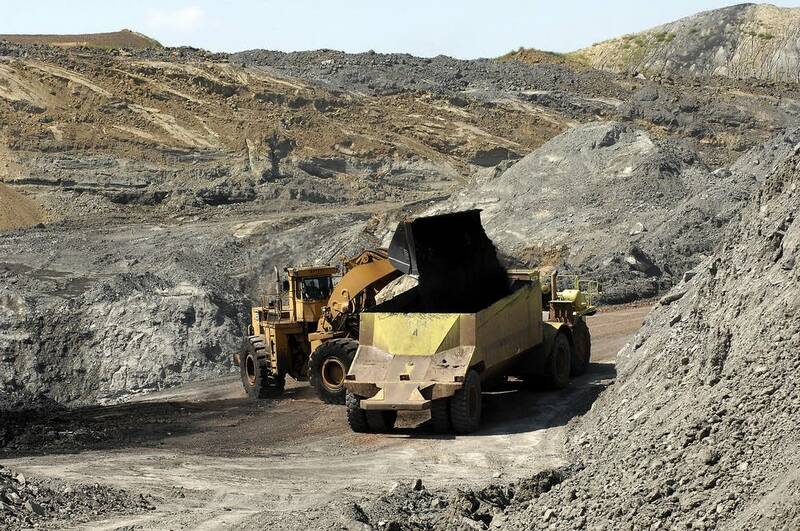 The Minnesota Chamber of Commerce sides with North Dakota on the coal lawsuit. Bill Blazar, the chamber's senior vice president of public affairs and business development, said businesses want reliable energy sources and all options — including coal — should be available for long-term planning. "Just because we don't need it today doesn't mean we shouldn't be doing the analysis, looking at all the technologies and thinking ahead," he said. J. Drake Hamilton, science policy director at the non-profit energy policy group Fresh Energy, said instead of putting all its eggs in the coal basket, North Dakota should be promoting cheaper and cleaner options. Hamilton said North Dakota has better energy options than goal and should focus on them. "The natural gas that they're currently flaring off the Bakken oil fields, and especially wind power," she said are good examples. North Dakota could create export markets for those commodities. The Minnesota legislature last session passed a bill to remove the coal restrictions from the 2007 law. Gov. Mark Dayton vetoed it but approved the exemption for the Spiritwood plant. North Dakota's lawsuit is unlikely to be settled even during the next legislative session. Last week, Minnesota asked a federal judge to dismiss it.